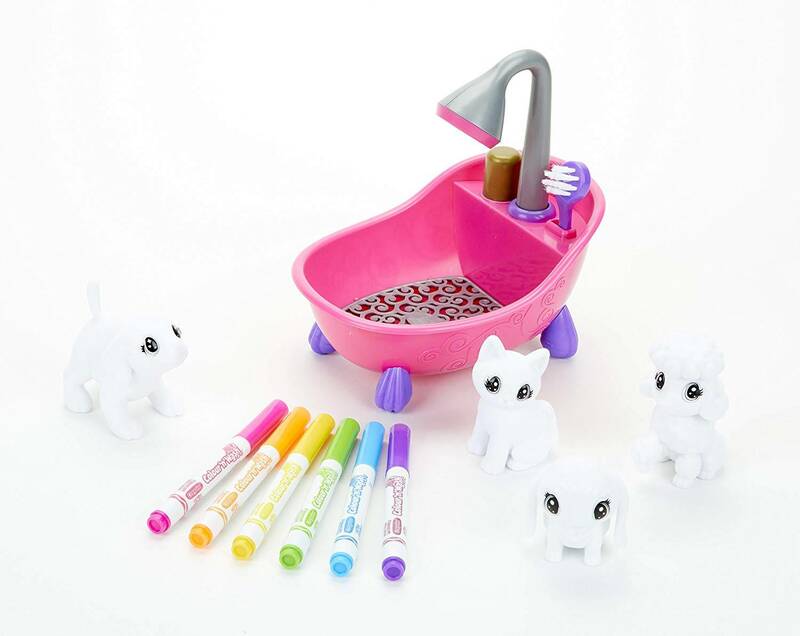 Colour, clean and colour again with Crayola Washimals. 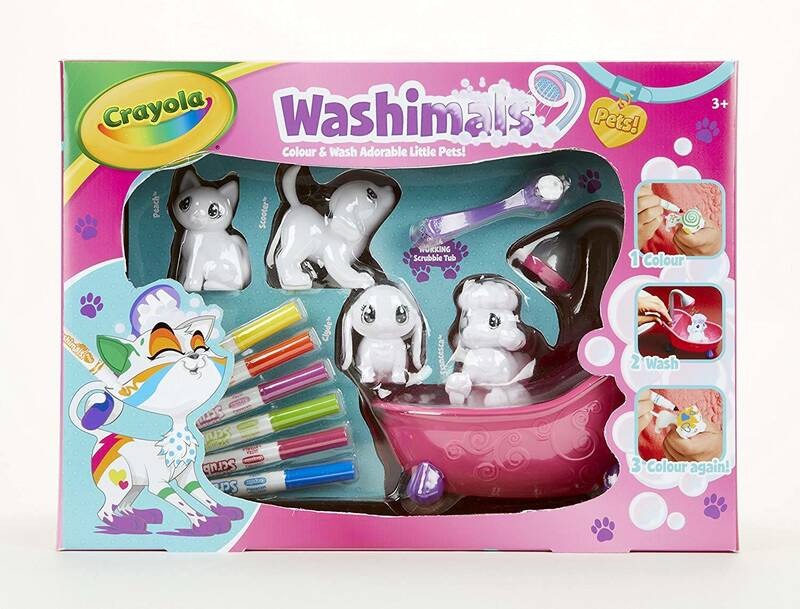 four different Washimals Pets in the Washimals Playset. 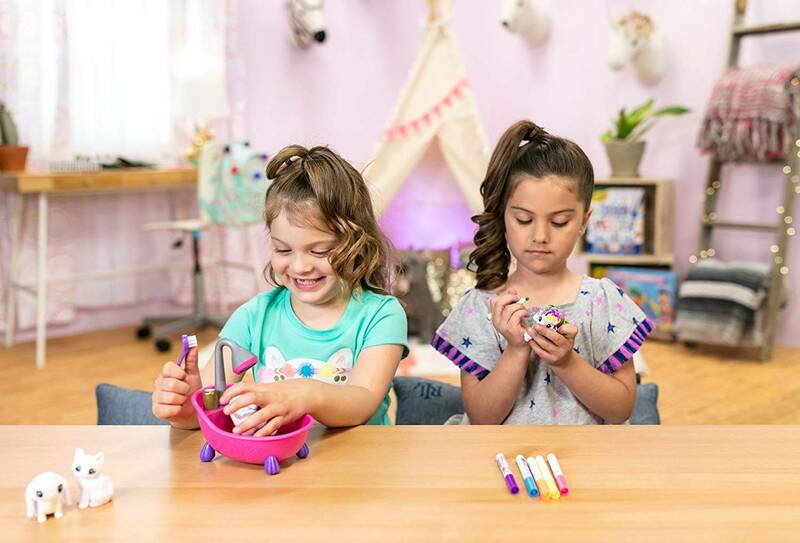 Use the included Washimals felt tip pens to colour and create beautiful patterns and designs on your pets, turning them into superheros or wild animals before giving them a scrub in the bath tub and a wash in the shower to clean off and play again. Comes with a real working bath tub, shower and scrubbing brush. 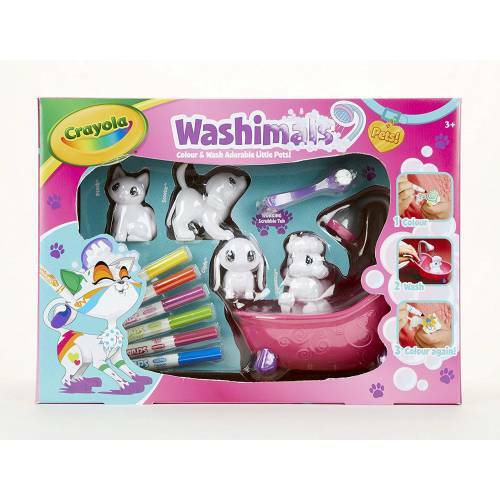 Includes six washimals felt tip pens. 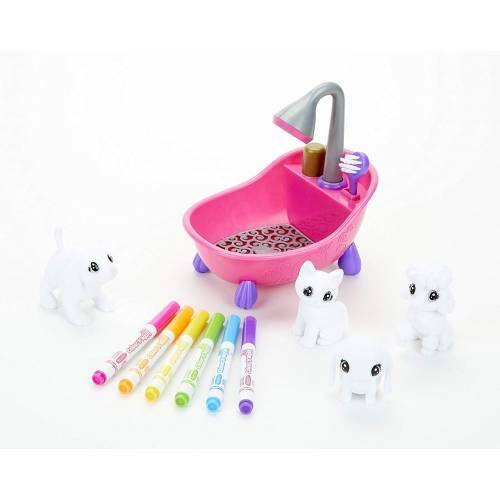 Adorable little pets, includes two dogs, one cat and one rabbit.